Will Sven Baertschi Prove to be a Top Six Forward? With all the speculation in Vancouver on transactions this summer and if players will fit roles in the Canucks lineup, Sven Baertschi has gone under the radar for the most part. Baertschi has 10 goals and 30 points in 69 NHL games, and will more than likely be expected to produce in a top-six scoring role to start the season. Sounds like a lot of pressure. Baertschi’s second line spot isn’t guaranteed, but he likely is the best fitted player on the Canucks’ roster to fill the void this season. The 22 year-old winger possesses great offensive skills and has a knack for scoring goals, but hasn’t been able to put it together consistently just yet at the NHL level. His GM Jim Benning made it clear he’d get a chance to earn his role heading into this season. With a tossup for forwards spots and Canucks training camp just around the corner, it’ll be up to the Swiss sniper to play his way into the team’s top six. Former Flames forward Sven Baertschi gets a one-way deal for one year from the Canucks. A ‘prove-it’ season for the first-round pick. The unproven RFA Baertschi didn’t come to terms on a contract until almost the end of July, and a “prove-it” year is the best way to describe his situation. 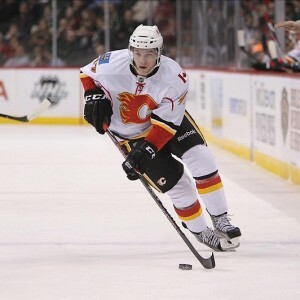 Baertschi scored three goals in five games when he debuted with the Calgary Flames late in the 2011-12 season as an emergency call-up. He was producing at a torrid pace with the WHL’s Portland Winterhawks (94 points in 47 games in 2011-12), and quickly became a fan favorite after his immediate impact with the Flames. Much like his current situation in Vancouver, Baertschi had been given a roster spot on the Flames to start the lockout-shortened 2012-13 season. He failed to find consistency, a streak that continued for two years before his falling out in the Flames organization, leading to a trade request and eventual deal to the Canucks at the 2015 trade deadline. At his best, Baertschi looked like the future in Calgary; a seven game point streak following the Jarome Iginla trade in late 2013 was the height of this speculation. 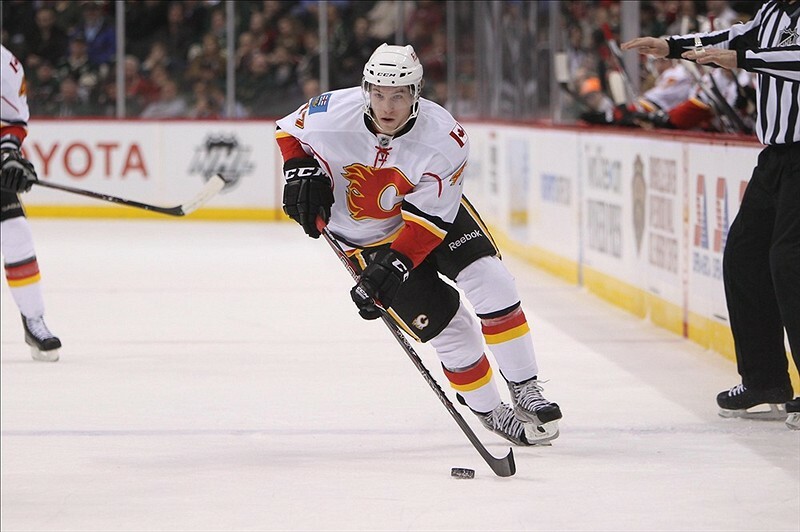 But when not as his best, he sputtered to even find a role in the Flames lineup, which included Flames’ President Brian Burke ripping into Baertschi for his lack of compete in training camp prior to the 2013-14 season. “Couple of years ago, scouting all through North America, the three junior leagues, I thought Sven Baertschi was the best junior in the country. He was a dynamic player… I believe we’re getting a top-six forward back and a player that’s going to be a real good player for us for a long time” – Jim Benning. 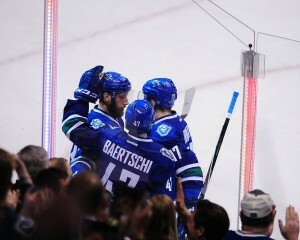 Baertschi clearly benefited from a change of scenery upon his arrival to the Canucks organization, scoring seven goals and 15 points in 15 games with the Utica Comets following last season’s trade, and was a big contributor to the team’s Calder Cup Finals appearance. He played three games with the Canucks and appeared in two playoff games, even spending time on the second line alongside Nick Bonino and Radim Vrbata. So with a new opportunity on a Canucks team that clearly believes in him, Baertschi will have a golden chance to prove his worth in the NHL. His one-year, $900,000 deal will be more of a test than anything to show he belongs. If he’s learned from his past, we should see a player who’s ready to jump on the opportunity out of training camp and earn a top six role with the Canucks, who fittingly play Baertschi’s old team in their first two games of 2015-16.